Finding a great golf course to experience the fall colors in Minnesota is a fairly simple affair. Just grab the Minnesota Golfer magazine course directory from the Minnesota Golf Association and pick a course. You won’t be disappointed. That said, however, all the courses in the state are not created equally — some are even more beautiful when the leaves start to turn. 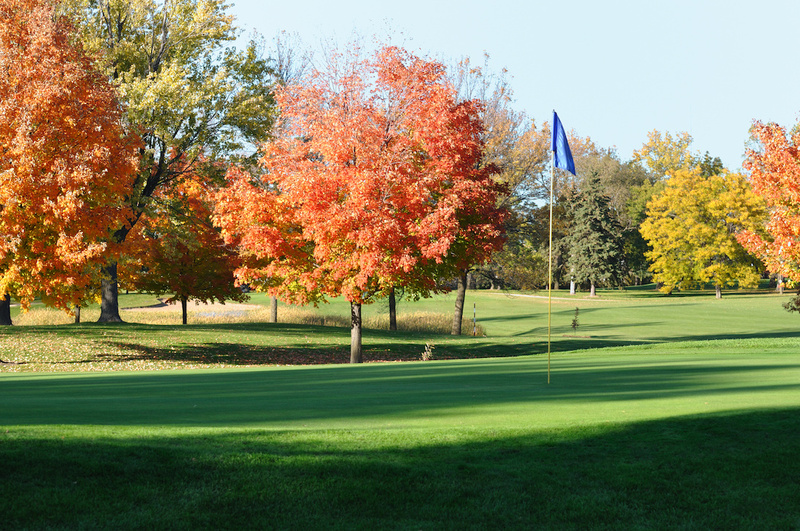 So, here is a quick guide to some of the best Minnesota golf courses for experiencing the fall foliage. In Minnesota, it’s best to tackle the search for great fall colors on the many golf courses geographically — starting up north. You can’t go wrong with the leaves in their fall finery at the Northern Trilogy. The three Jeffery Brauer courses up in the Iron Range include The Legend and The Quarry at Giants Ridge and The Wilderness at Fortune Bay. The Northern Trilogy showcases excellent golf challenges amongst the quiet and rugged beauty of the north — which is interrupted only by on the rustle of the vibrant leaves. But don’t forget to head up there soon, as the leaves start turning in the northern climates a little earlier than in the rest of the state. If you head northwest from the Twin Cities near Alexandria, there is a group of courses shrouded in the colors of the season. 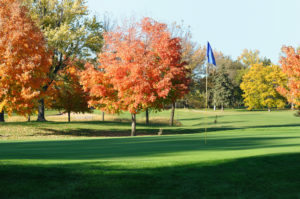 Arrowwood Resort, Geneva Golf Club, and Thumper Pond Resort offer championship golf on perfectly conditioned courses adorned in the reds, yellows, golds, and oranges of Minnesota’s natural fall festival. To get the most fall-color bang for your travel buck, consider the central lakes region of Minnesota, where five of the state’s most awarded courses are found. On Gull Lake alone you can Cragun’s Resort, Madden’s on Gull Lake and Grand View Lodge. Then there is Breezy Point Resort and Golden Eagle Golf Club, where you can’t hit a wayward drive without shaking loose some beautiful fall foliage. On the outskirts of the Twin Cities, look for a trio of great golf courses that wind their way through a forest of color, shimmering and glimmering in the sun. Minnesota National Golf Course in McGregor, Black Bear Resort in Carleton, The Territory Golf Club in St. Cloud and The Jewel Golf Club in Lake City, are all home to verdant green fairways cut through tunnels of tall hardwoods dressed out for the season. And if you want to find a leaf-peeping spot in the Metro Area, the golf courses there will not disappoint. From Willingers Golf Club, Ridges at Sand Creek, Stonebrooke Golf Course, The Wilds Golf Club and Legend Golf Club in the south, Rush Creek Golf Club and Chaska Town Course in the west, to Edinburgh U.S.A. in the north, Edina’s Braemar Golf Club in the middle, and Prestwick Golf Club and StoneRidge Golf Club in the eastern metro, you won’t go wrong playing any of these gorgeous metro courses when the breezes turn cool in September and the smell of autumn is in the air. Pick any of these top-tier golf courses for a pleasant stroll through the fall colors, but you had better be prepared to brush aside the occasional colorful leaf from your line on the putting greens. No matter where you head to see the fall colors in Minnesota, check out this handy Fall Color Finder from the Minnesota Department of Resources. 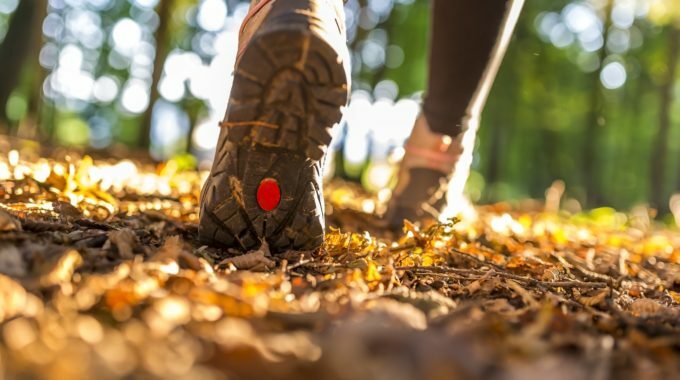 It will tell you what’s happening when, so you won’t miss a bit of the beautiful fall colors in Minnesota. And enjoy the fall splendor! So, we’ve put together this list of the best places to play golf while enjoying the Minnesota fall colors.